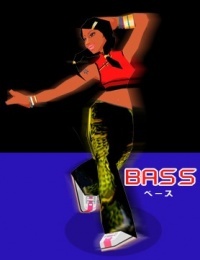 BASS as she appears in DanceDanceRevolution STRIKE. BASS and DRUM are named after the drum'n bass music genre. Altough BASS debuted in DDR FESTIVAL -DanceDanceRevolution-, she didn't get a profile until DanceDanceRevolution STRIKE. This page was last edited on 22 March 2015, at 03:23.